This site is my digital home, and I share my thoughts, ideas and reflections here. I like the idea of acting like a ‘digital leadership think tank’, discussing the opportunities and threats that our connected world brings with it. The digital world has created new habits and new challenges. It’s a gift that we should use carefully and with the best intentions. I believe that our understanding of ourselves and the world changes hugely when we use and connect with new technology. We live one life, and our online life is weaved into our real life. I am based in Sweden since the end of 2016 after spending almost ten years in London. I am the proud author of the book Digital Leadership: How Creativity in Business Can Propel Your Brand and Boost Your Results which was published in September 2013. On my site you will get an idea of what I do as a social media speaker and leadership speaker. I’ve spoken professionally since 2011. As an international speaker I’ve spoken at the Arabian Social Media Forum, the 5th Annual Evolution of Digital Marketing APAC Summit in Shanghai, it-forum in Denmark, The Digital Marketing Forum, TEDxUCL, TEDxWomen, STIMA the Belgian marketing association and many events with Junior Chamber International in the UK and abroad. Word cloud of how people who have heard Sofie speak describes her. 1) Speaking and acting as a panellist. As a professional speaker I talk about social media, digital branding, digital challenges and I share my digital insights and knowledge with my audience. I speak for all kinds of group and my keynote speeches are always tailored to the audience. In the last year, I’ve spoken about social media and digital leadership in the UK, China, Belgium, Kuwait, Sweden and Denmark, and it’s fascinating and inspiring to travel to new places as a speaker. 2) Coaching and consultancy. I work as an executive coach for people who would like to deepen their knowledge of the digital world. The way you develop your business and how you welcome new digital opportunities will impact your life and everyone working with you. Digital and social media is a long-term investment that reflects what your organisation stands for. 3) Workshops and training. I deliver workshops and training in social media and digital strategies. One workshop is based on my book Digital Leadership and concerns creative thinking and how innovation works. I also train and coach sales teams on how to use LinkedIn and Twitter to build business relationships. In my talks and workshops I explain how you can use social media and technology for your organisation. 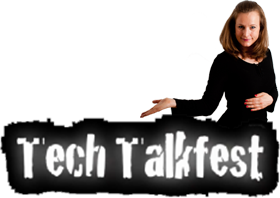 My teaching/speaking style is relaxed and I avoid overly ‘techie’ expressions. 4) Writing blogs and articles. I do commissioned work for newspapers, magazines and blogs. Sofie Sandell is a professional speaker, author and writer focusing on social media, marketing and leadership. 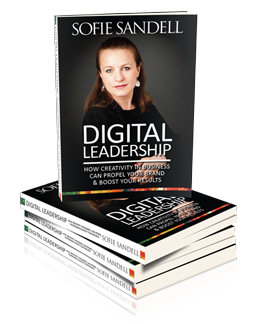 In 2013 she published her first book Digital Leadership – How Creativity in Business Can Propel Your Brand and Boost Your Results, which emphasises how leadership and creativity work as a driving force when developing new ideas and exploring digital technology. Sofie became the webmaster for her sailing club’s website 2003 after she complained to the board that it was not updated correctly. In 2009 she was the first person to be responsible for a big technical publisher house’s social media strategy and implementation, her job description was short and neat – to introduce new digital techniques. Her experience also include being the ecommerce manager for a large broadcaster, ITV online. We are at the beginning of the digital transformation age, and change is fast. Sofie believes that the leaders who are best placed to take us into the future are those who know a lot about digital tools and what technology can do for people, organisations and the world. The digital world has created new habits and challenges. New technology has no morality or ethics, but people and cultures do. One big question is how we can use new technology for the benefit of the many to make life easier and better. Sofie has written for The Guardian, Huffington Post and CMO.com, and she has been featured in Fast Company, The Guardian and The Times of India. 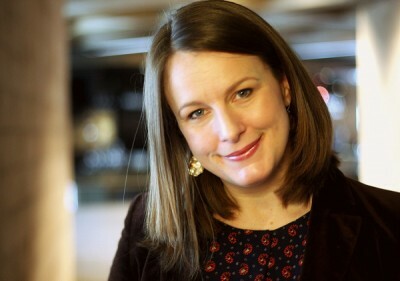 In 2013 Sofie spoke at TEDxUCL and TEDxIslingtonWomen and she inspired thousands with her Digital Leadership insight and stories at many events and conferences around the world. Sofie has also lectured in digital marketing at INSEEC University in London where she was responsible for four courses. Sofie has had a number of leadership roles in non-governmental organisations. In 2011 she was awarded the Freedom of the City of London in recognition of her service to the city. Sofie also writes poetry, love art and all kind of music. 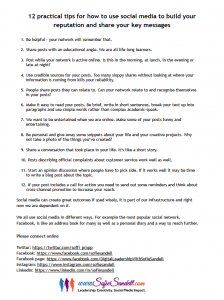 On her website, www.sofiesandell.com, Sofie runs a popular social media Q&A which raises some of the big questions about life in relation to social media. For over ten years Sofie called London home, now she lives south of Gothenburg in Sweden and still works internationally.